Do you listen to the Shipping Forecast? That is the question being asked by the BBC. However their poorly designed questionnaire refers not to the forecast but to “Maritime Safety Information” and is really about whether they should keep their aging long wave transmitter going. Moreover the answers are on a scale of 1 to 5 but 1 is high and 5 is low so the survey may give misleading results. A cynic might conclude that the decision has already been taken! The International School of Yacht Design (ISYD) is running a Yacht Design Course over 6 evenings in Winter 2014. The course ran successfully in 2013 and this year is being offered as a ‘RYA Member offer’ for RYA members but the course is open to all and there are likely be members of your Club who might well be interested who are not RYA members. Many attendees are interested in understanding the basics of stability and seaworthiness, or the aerodynamics of sails or the effect of hull surface roughness on performance plus many other topics from modern materials to the strength requirements of mast, boom and spreaders. Others are interested in understanding the design of their yacht, either to improve the yacht’s performance by modification of the hull, keel, rudder or sail plan, or simply to become a better sailor. The course is also of interest to those who want to learn how to evaluate the performance of a yacht based on its main data, for instance when buying a new yacht. A smaller group of interested course participants are those who ultimately want to design their own yacht. Lectures will be held in Southampton on starting on Wednesday January 29th and in Central London on Thursday January 30th, 2014 and on successive Wednesdays/Thursday for 6 weeks but omitting the week of Feb 17th which is half term. The Lecture time is 18.00-22.00. There are further details on the ISYD website – www.isyd.org – including the lecture syllabus and registration/payment details. Registration and payment needs to be made by December 15th as places are limited. The Medway Queen, which was rebuilt in Bristol with a new riveted hull just like the original, berthed at Gillingham Pier on 19 November with a welcome from crowds of cheering onlookers. It is hoped that the “Heroine of Dunkirk” will soon be able to act as a floating museum and venue for events. One day she may even venture out under her own steam. Those who have given their time and money to revive the old girl can only hope! Will Qatar gas deal scupper plans for airport on Grain? 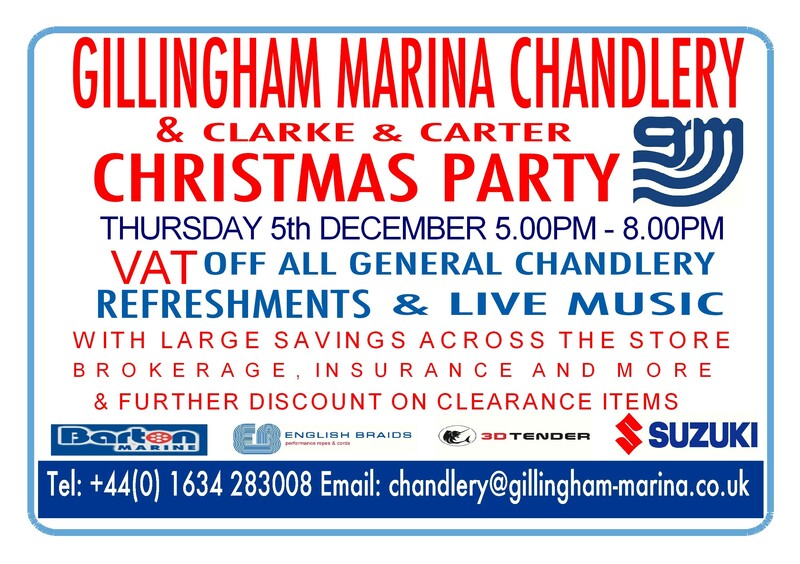 Peter Norris writes, “We are celebrating another very successful year at our Kent offices at Gillingham, Ramsgate & Chatham by holding, in association with Gillingham Marina, a Christmas Party in the Gillingham Marina Chandlery between 5pm and 8pm on Thursday 5 December 2013. “We will be offering festive refreshments with live music and there will be a number of very special offers on chandlery items on the night. GJW Insurance will also be on hand to discuss any insurance questions you might have. There will also be a number of technical representatives from suppliers around on the evening for you to ask questions. All Tide Landing, Isle of Sheppey, Happier Times. This year has seen the all tide landing at Queenborough closed for EKPs’ use and the impact it has had on the Even Keel disabled sailing project has been rather significant. Two years ago the community and businesses on the Isle of Sheppey and local areas rallied around to create a permanent site for the project with great success and a specially designed boat was purchased along with a secondary boat loaned from The Even Keel Project. A sailing week with the fleet from the project started off the season with local dignitaries including the mayor, MP Gordon Henderson, Southern water, Swale heating, Queenborough Harbour Trust, Queenborough yacht club and a lot of the local community all in attendance offering their support in one way or another and the year went with great success with over 300 disabled, disadvantaged, local schools and communities using the facilities. 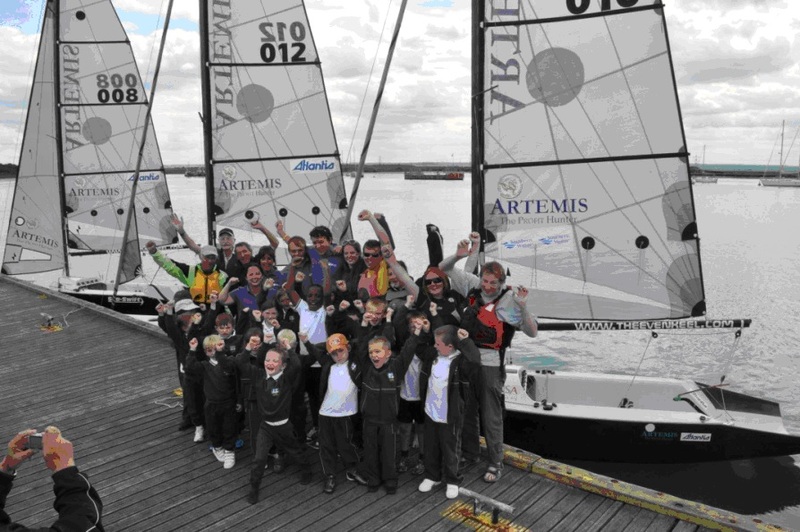 After the sailing week two boats were permanently available for the use by the local community which was run by a great team from the Isle of Sheppey Sailing club. Sadly at the beginning of the year the landing became damaged and was put out of use to the project under grounds of safety but unfortunately it still has not been repaired significantly enough due to lack of funds and the project has had to stand by as it is the only deep water pontoon in the area that the project can use. Not only does that have an impact on the local community who had booked the boats out for the majority of the year but also the expectation and requirements from local funders and sponsors alike. Currently Queenborough Yacht club run the all tide landing and have very little funds to repair the landing. Queenborough Harbour Trust have offered help and have been in talks with QYC to take ownership and have plans to raise the funds necessary to repair the landing but this has been rejected by QYC. We hope a positive decision will be made for the good of the community and the EK project can get back up to speed and continue in the good its doing. Perhaps this is something the people of Sheppey can do together, by working with QYC and QHT by offering their views and support to bring about a positive solution, so the All Tide Landing can be repaired for all to be able to enjoy in one way or another. Let QYC and QHT know your views. Queenborough All Tide Landing closes – is this the end? Eddie Johnson writes: “Queenborough Yacht Club has shut the All Tide Landing and is in the process of dismantling the walkway. Though no confirmation has been made regarding this as maintenance or a permanent move, it has been stated by a spokesperson for the yacht club that there is insufficient funds to complete the repair work required. “Though the Queenborough Harbour Trust will endeavour to provide a fully running service next season, this will obviously be hampered by the removal of the ATL. Read more on Kent Messenger website.